Race report & pictures coming soon! It's 4:20am here in Texas! Rise and shine! I'm not sure what the next few days will allow, in terms of blogging, so I wanted to make sure I posted the tracking information for Ironman Texas! 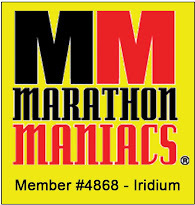 #2: You can also track on http://ironmanlive.com/ using my bib numer: 332! I will try to have either my friends Chrys or Michelle post on my Facebook page updates on my progress, but those will be less frequent, I'm sure. And, thank you to my Angels and Ninjas Crew who have supported me through this entire journey with laughs, encouragement, tough love and motivation!! You're the best! I am doing what I can to stay focused this week... but wow! Talk about mush for brains! One more day of work! My best friend, Chrys flies in from CA on Wednesday evening. This is really happening! Sorry, that I'm behind on reading blogs. 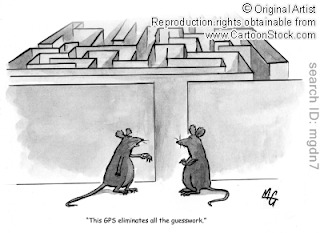 I have the attention span of a gnat right now! 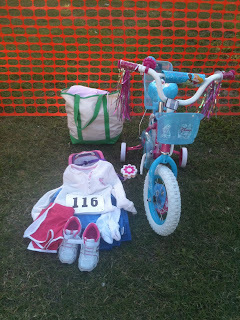 "Pookie" had her first triathlon this weekend at the Hooty's Kids Triathlon in Decatur, TX. The hospital that I work for puts this on and she had a blast. Unlike some other races, this one is completely laid back and parents are encouraged to be with their kids at every point during the race. 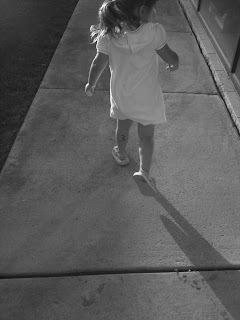 At 2 1/2 she was the youngest one in the race, so we just were there to have fun and to do whatever she wanted to do. Here's some pictures from her big day! Fellow blogger, Chris from Tri 4 Success was also there with his kids. They did awesome! Here's a link to his Race Report! "But I want to go swim..."
Out of T1 to the bike! having it. Ok. No problem! 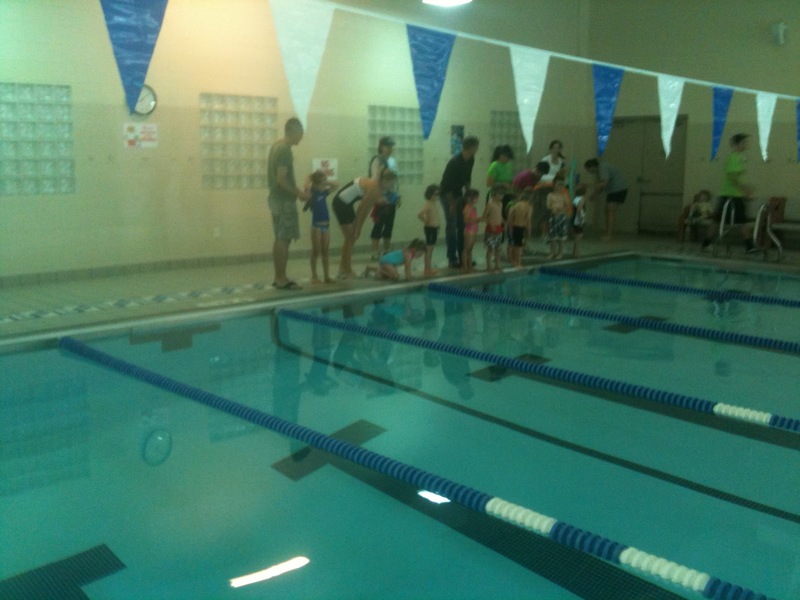 Post-race swim fun. My little mermaid! 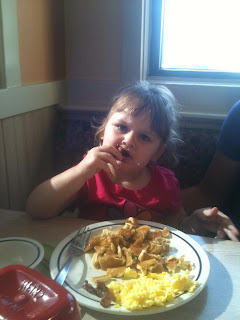 A big, pancake breakfast at IHOP! Good Luck EMZ! You've. Freaking.Got.This! Because your brain doesn’t know what your body already does..
My friend, Marcy, who is also racing IMTX, sent this to me. It made me cry. It was originally written by (Hurricane) Bob Mina. The Ironman: Am I ready? Right now you've all entered the taper. Perhaps you've been at this a few months, perhaps you've been at this a few years. 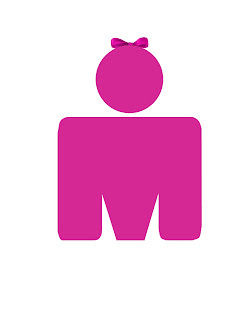 For some of you this is your first IM, for others, a long-overdue welcome back to a race that few can match. You'll grind the false flats to the climb. You'll know you're almost there. You'll fight for every inch of road. The crowd will come back to you here. Let their energy pull you. Let them see your eyes. Smile when they cheer for you - your body will get just that little bit lighter. You'll plunge down the road, swooping from corner to corner, chaining together the turns, tucking on the straights, letting your legs recover for the run to come - soon! You'll roll back - you'll see people running out. You'll think to yourself, "Wasn't I just here?" The noise will grow. The chalk dust will hang in the air - you're back, with only 26.2 miles to go. You'll relax a little bit, knowing that even if you get a flat tire or something breaks here, you can run the damn bike into T2. You'll take that first step of a thousand...and you'll smile. You'll know that the bike won't let you down now - the race is down to your own two feet. The same crowd that cheered for you in the shadows of the morning will cheer for you in the brilliant sunshine of a summer day. High-five people on the way out. Smile. Enjoy it. This is what you've worked for all year long. won't. Eat what looks good, toss the rest. Keep moving. Start looking for people you know. Cheer for people you don't. You're headed in - they're not. They want to be where you are, just like you wanted to be when you saw all those fast people headed into town. Share some energy - you'll get it right back. - Went to meet my friend, Marcy for our last long ride before taper. As I turn off to the meeting place, my car died on a busy three lane road during rush-hour traffic. No shoulder. Traffic had to divert around me. I've only had the car for a year (It's a 2011! What the heck?!). Sounded like the transmission just gave up. Horrible grinding noise. Thankfully I had help to get it pushed out of the way-- amazing how many people aren't willing to help. Had to have it towed. 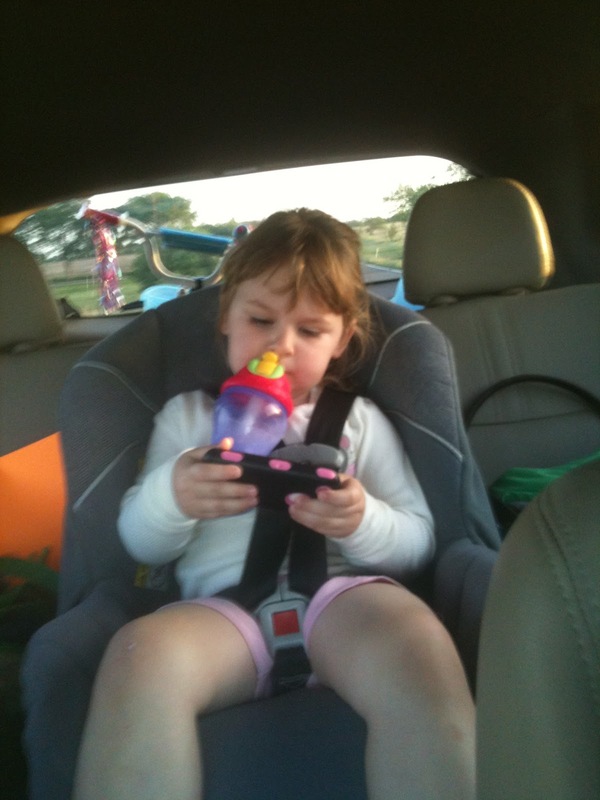 - Got the bike loaded onto Marcy's car (an hour behind schedule) and got to the Trinity Trail. The wind was constant at 25mph and gusts to 40mph! I went off-roading twice and Marcy almost ended up in the river. So scary. - Ride was detoured all over the place for a Mayfest event- so we road a lot on gravel. - Saw some raccoons that apparently had been injecting some Human Growth Hormone. Seriously, they were the size of dobermans. ?? - Rode past some guy just lying flat on his stomach in the middle of the trail without his shirt on. He was moving, so we knew it wasn't a crime scene. ?? - Marcy got stung on her leg by something. - Marcy's car got broken into- they busted out her back window- while we rode our last leg. They stole her wallet (hidden in the console), her cooler and my transition backpack. - Can this day be over yet? -Ran the Heels and Hills Half Marathon this morning. - Severe thunderstorms/ hail looming. We had a huge downpour that soaked us about 20 minutes into the run. - PR'd by 3 minutes from Cowtown in February! New PR for me: 1:53:39! That's 10 minutes faster than I ran this course last year. - I didn't even know that he was going to be there, but Jason from CookTrainEatRace spotted me at the finish line and yelled out at me. Helped me undo my chip and then we got to cheer his wife, Karen in to the finish. - My mom ran the 5k and came in first in her age group! 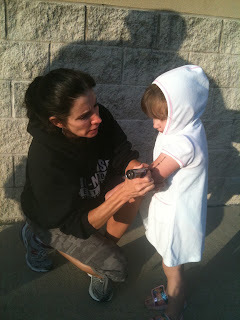 And not only that, her time was fast enough to beat the top spot of the runners 2 age groups younger than her! Way to go mom!! Speedy! 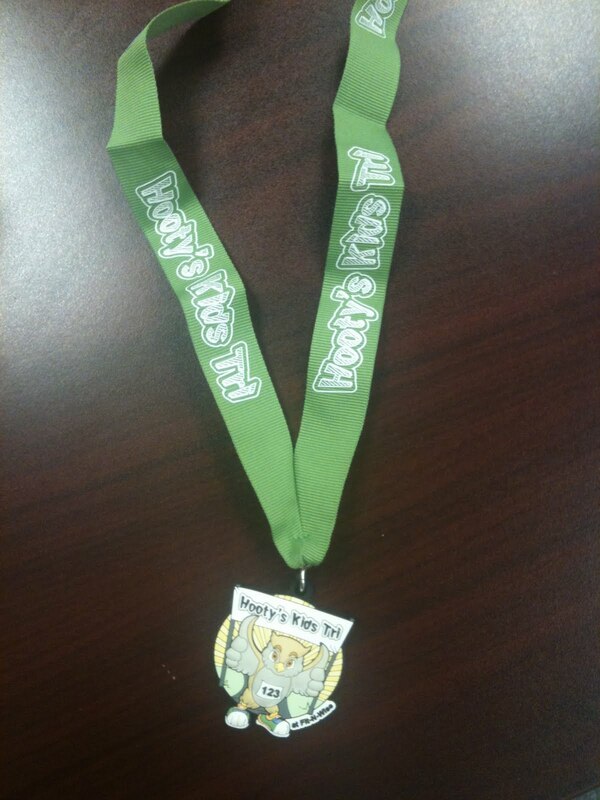 - A huge congratulations goes out to Michelle who ran her first half marathon today. The weather dampened her plans on being able to finish, but she went out there- endured and did an awesome job for the distance she was able to accomplish. I am so proud of her and look forward to being able to run another one together in the future!